I recently came across a TED Talk by Yves Morieux of Boston Consulting Group (BCG) and wondered if within it lies not only the answer to employee disengagement but perhaps the solution to helping companies do their part in the engagement equation. In his talk, he poses a question, a bit of a chicken-and-egg situation, something along the lines of: Does being less engaged make employees less productive…or vice versa, are they disengaged because they have so much more pressure to produce more? It’s an interesting talk, where he dives into how complex businesses have become – including an extreme focus on KPIs that, in the end, have little bearing on the business – and how employees have to compensate with their own individual efforts for the complexities and the lack of cooperation within an organization. I did some research to find out more, to find out if this theory of the complexity of organizations is really a thing. And according to BCG, it is. They created an index of complicatedness, for which they surveyed over 100 listed companies in the U.S. and Europe. They found that, over the last 15 years, the number of procedures, vertical layers, interface structures, coordination bodies, and decision approvals needed increased for these companies 50-350%, with an average increase of 6.7% over the last 50 years. Wow! We’ve really made things harder for ourselves. Seems like when people say, “Work/life was so much easier 50 years ago,” perhaps they’re on to something. They found that, in the most-complicated companies, managers spend 40% of their time writing reports and 30-60% of time in meetings, leaving very little time for actual people management. And we can only extrapolate what that leads to: misguided efforts and lack of career development, to name a few things. Employees in these complicated organizations are three times more likely to be disengaged – and work satisfaction and productivity are much lower – than those in the other companies! Yves and his colleagues at BCG created this concept of “smart simplicity” to help overcome the complexities of organizations and the resultant employee experience/disengagement. 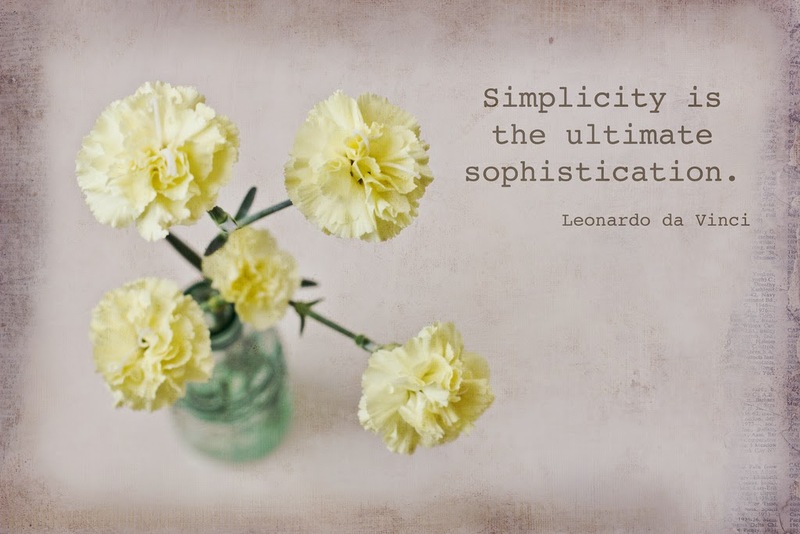 Smart simplicity is all about creating an environment where: employees can work with one another to develop creative solutions to complex challenges. This supposedly reduces structural and procedural complicatedness and allows companies to become smarter and more streamlined – with employee engagement also being an outcome. 1. Know what your colleagues do. Seems like a no-brainer, doesn’t it? But I’ve been there. I’ve worked with and for people who have no idea what I do (or what the company really does, sadly). I would equate this to employee ownership. From the employee perspective, they think and act like they own the business. It’s about being passionate about what they do, not standing at the sidelines waiting to be spoon-fed; it’s about taking the horse by the reins and running with the directive (the brand promise), being accountable for their roles in the execution of the customer experience and in the success of the business, working together with others who are just as passionate and who share a common goal, and feeling like they are a part of something bigger, something they want to see grow, flourish, and succeed. 5. Increase reciprocity. Remove the buffers that make us self-sufficient, and then cooperation ensues. It forces people to work together. And yes, this is a good thing. I think this ties in well with Rule #1, since, absent clear directives, we do what we need to do to protect our own interests, hence feel we are self-sufficient. If we know what our colleagues do, there’s a better chance to increase reciprocity (teamwork). It’s an interesting concept. Once you take those resources away, people are more likely to rely on each other, collaborate, and work together. 6. Reward those who cooperate. This is an interesting one. In talking about employee engagement, we always say that rewards and recognition are important to the employee. But according to Yves, it’s more about blaming those who don’t cooperate. He cites a quote from Jorgen Vig Knudstorp, the CEO of the Lego Group: Blame is not for failure but for failing to help or ask for help. Yves states: If people are afraid to fail, they will hide problems from you and your peers. Reward people who surface problems – and punish those who don’t come together to help solve them. These rules really present an interesting approach to employee engagement. Employees are empowered, work together, know how their contributions matter, and are allowed to take risks and fail – all in an environment where complexities, in general, have been removed. Sign me up!